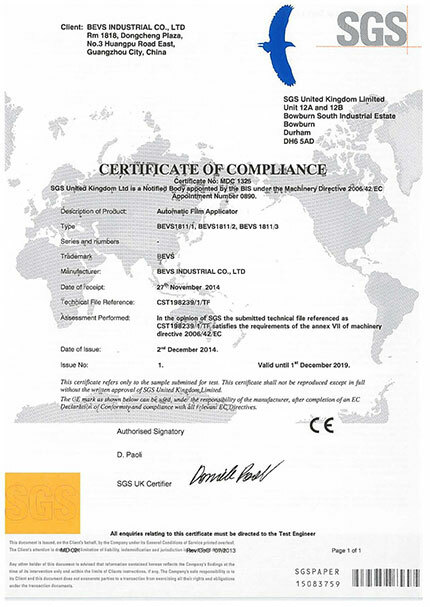 Many products of BEVS won the European CE certification, such as Automatic Film Applicator ,Wet abrasion Tester etc., which help BEVS formed a perfect quality certification system, and access to the European Union and European Free Trade Area countries. Moreover, this will encourage BEVS to have further promotion and increasing market share in European, but also a better choice to provide high-quality equipment for domestic and foreign customers. In recent years, there are more and more export company in China. If their products want to trade successfully in the European market, there must be "CE" safety certification mark. 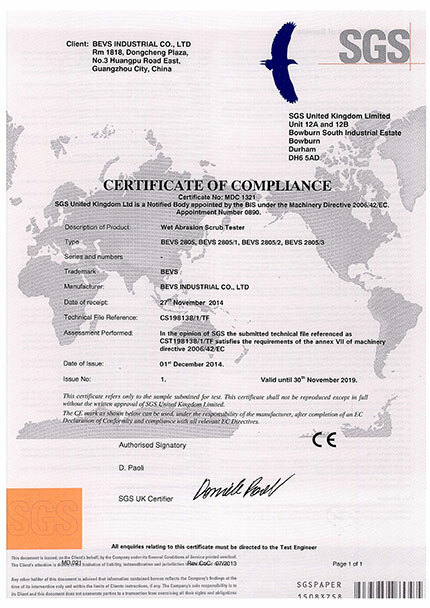 BEVS has been providing high-end testing equipment for customers at home and abroad .Applying for the CE Certification, and passed in just a month, proved that BEVS always have the strict quality control, and its products meet the series requirement in safety, environment and consumer protection of EU "technical coordination and standardized new methods "instruction. In the same time , the CE Certification is also a commitment to our customers about the product quality, which is a leap in customers’ confidence degree.